Lewis Muhlenberg Haupt was born in Gettysburg, Pennsylvania, on March 21, 1844, the son of Herman Haupt and Ann Cecilia Keller. Haupt enrolled in 1861 as a member of the College Class of 1865, but left the University of Pennsylvania at the end of his freshman year. 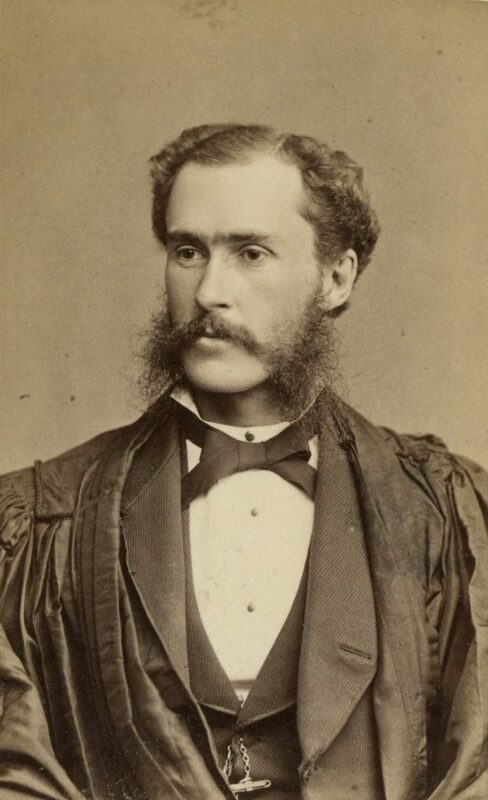 Haupt also studied at the Lawrence Scientific School at Harvard before graduating from West Point in 1867. After service as a lieutenant in the U.S. Army Corps of Engineers from 1868 to 1869, he returned to Philadelphia to work as a topographical engineer on Fairmount Park. After a short period in 1872 as an assistant engineer at the U. S. Patent Office, he became an instructor in math and engineering at the University of Pennsylvania. Haupt was promoted to assistant professor of civil engineering in 1873 and to full professor of civil engineering in 1875, a post he would hold until 1892. Haupt wrote many tracts on the subject of engineering, and served for a period as an editor of the American Engineering Register. In 1897 he was appointed by President McKinley to study the feasibility of a Nicaraguan canal linking the Atlantic and Pacific Oceans. When the Panama site was finally chosen, he served on the Panama Canal Commission. He was active in several organizations including the American Society of Civil Engineers, the Franklin Institute, the American Philosophical Society, and the Engineers Club of Philadelphia. In 1911 Lewis Haupt patented automatic devices for reclaiming eroded beaches by hooked jetties, subsequently used on beaches in New Jersey and New York. The University of Pennsylvania awarded him an honorary A.M. degree in 1883; Haupt also received an honorary Sc.D. from Muhlenberg College and an honorary LL.D. from Pennsylvania College. On June 26, 1873, he married Isabella Christiana Cromwell. Together they had four daughters and one son, Lewis H. Haupt, who graduated from the University in 1909 with a B.S. in mechanical engineering. Lewis Muhlenberg Haupt died in Cynwyd, Pennsylvania on March 10, 1937.